While there are plenty of activities to enjoy on Sanibel and Captiva Islands, many travelers also delight in exploring the surrounding mainland including Ft. Myers, Naples, and Cape Coral. Conveniently located just a few minutes across the causeway, Ft. Myers offers many fun and exciting attractions you will not want to miss during your Southwestern Florida paradise vacation! Edison – Ford Winter Estates - Experience the winter homes of some of the most influential men in history! It will be as if you’re reliving history when you stop in and visit the homes of automobile genius Henry Ford and inventor Thomas Edison. Edison built his home, otherwise known as “Seminole Lodge” here in Ft. Myers in 1886 and shortly thereafter his friend Henry moved in next door to “The Mangoes” in 1915. The residences and grounds are magnificently maintained and kept the exact way in which Edison and Ford lived in them while they were alive. Adding further to the adventure, are the “living history characters”, or actors, that walk the estates and mingle with the guests. Here, you can “meet” Edison and Ford and get a sense of what it was like to know them. Thus, you get a true “feel” for what it would have been like to be a guest in these amazing historical figures’ lives. Imagine stepping into Edison’s chemical lab! You don’t have to imagine, you actually can! Take a look at an original Model T Ford, a gift from Henry to Edison in the museum, or marvel at one of Edison’s most famous inventions – the phonograph! Get a view of the magnificent estates from the water by setting sail on the bordering Caloosahatchee River on a replica of one of Edison’s boats. The 17 acre estates also include Edison’s renowned botanical gardens which house over 1,000 types of plants from everywhere in the world. Getting married? The Henry Ford estate is a truly unique venue for weddings and parties and is available for rent. 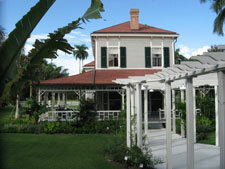 The Edison – Ford Winter Estates are located at 2350 McGregor Boulevard in Fort Myers. Southwest Florida Museum of History - An exciting manner in which to explore the history of Fort Myers and Southwest Florida is by visiting the Southwest Florida Museum of History. Not only does the museum offer intriguing displays and exhibits, it also offers a guided walking tour of the history of downtown Fort Myers, Wednesdays at 10:00 am. The Southwest Florida Museum of History is located at 2300 Peck Street. Hours: Tuesday – Saturday 10 am – 5 pm and Sunday 12 am – 4 pm. Imaginarium - If you’re looking for an interesting place to take the kids, the Imaginarium is an exceptionally outstanding place. The Imaginarium is a “hands-on” science museum, giving children a chance to engage in a number of captivating as well as fun and entertaining teaching exhibits. Children can learn about chemistry, physics, and nature (including live animal displays). A sampling of some of the over 60 exhibits you can discover at the museum include: a hurricane and thunderstorm exhibit, live sharks, eels, turtles, iguanas, swans, and even a live coral reef! Children can also try their hand at conducting a weather forecast by playing the part of a TV weatherman for the day. 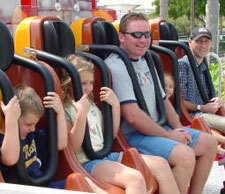 The Imaginarium is located at 2000 Cranford Avenue in Fort Myers. Hours: Monday – Saturday from 10 am – 5 pm and Sunday from noon – 5 pm. The Children’s Science Center - Another exceptional “hands-on” science and learning museum is The Children’s Science Center. It is located at 2915 N.E. Pine Island Road in Cape Coral. Naples Zoo at Caribbean Gardens - Spend a day with your family amongst the beasts at the Naples Zoo at Caribbean Gardens. This zoo is truly unique. It is situated on 52 acres of a beautiful, lush tropical garden. Strolling along the gravel path, you’ll encounter panthers, leopards, tigers, lions, monkeys, and African wild dogs to name just a few. One of the highlights of this particular zoo is a boat cruise on the picturesque Lake Victoria. This catamaran cruise, which is included in the price of your zoo admission, is unlike any other cruise you’ve ever been on. As you float along, you’ll encounter tiny tropical islands colonized by all types of charming little monkeys! Not to be overlooked is the opportunity to see several different wildlife presentations presented by the zookeepers themselves. 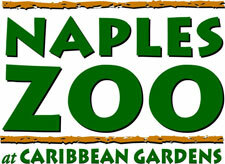 The zoo is located at 1590 Goodlette-Frank Road in Naples. Broadway Palm Dinner Theater - A night out in town enjoying a musical can be had just minutes away from Sanibel and Captiva Islands by visiting the Broadway Palm Dinner Theater. The theater can accommodate 448 guests and serves lunch and dinner buffets followed by a Broadway style musical show. The Broadway Palm Dinner Theater is located at 1380 Colonial Boulevard. Murder Mystery Dinner Train - All aboard the Seminole Gulf Railway! On board this 1930-1940s train, you’ll experience majestic views of the Southwest Florida countryside accompanied by a five-course meal all while being entertained by a murder mystery show! What’s more you get a chance to show off your sleuthing skills and try to solve the mystery! This is not exactly an ordinary train ride! The Murder Mystery Dinner Train is located at 4110 Center Pointe Drive in Fort Myers. Smuggler’s Cove Adventure Mini Golf - The entire family will love this one-of-a-kind 18-hole miniature golf course. The course features beautiful waterfalls and an astonishing water spouting volcano! However, what really sets this course apart from the rest are the live baby alligators! As you enter the course, you will see the alligators swimming in the pond or sunning themselves on a wooden raft. Visitors even get a chance to feed the young gators bits of meaty gator treats! Oh yeah, there’s a spectacular miniature golf course too! Smuggler’s Cove Adventure Mini Golf is located at 17450 San Carlos Boulevard on Fort Myers Beach. King Richard’s Family Fun Park - If you’re looking for a little action, you and your family can enjoy amusement rides, bumper boats, batting cages, go-carting, laser tag, video games, mini golf, and water rides. 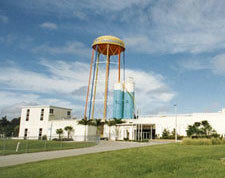 The park is located at 6780 North Airport Road in Naples. Sun Splash Family Water Park - You won’t have to stray far from the islands to cool off at this superb 12-acre family waterpark that includes waterslides highlighted by a 5-story 457 foot long tube slide! Located at 400 Santa Barbara Boulevard in Cape Coral.